This is one of five Boeing 787-800s currently running a test flight program in advance of certification and delivery. 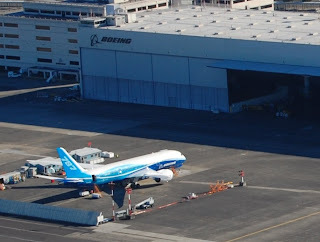 It's parked here at Boeing Field (the Seattle municipal airport). The combined fleet has already logged 479 flights, for a cumulative total of 1479 hours. 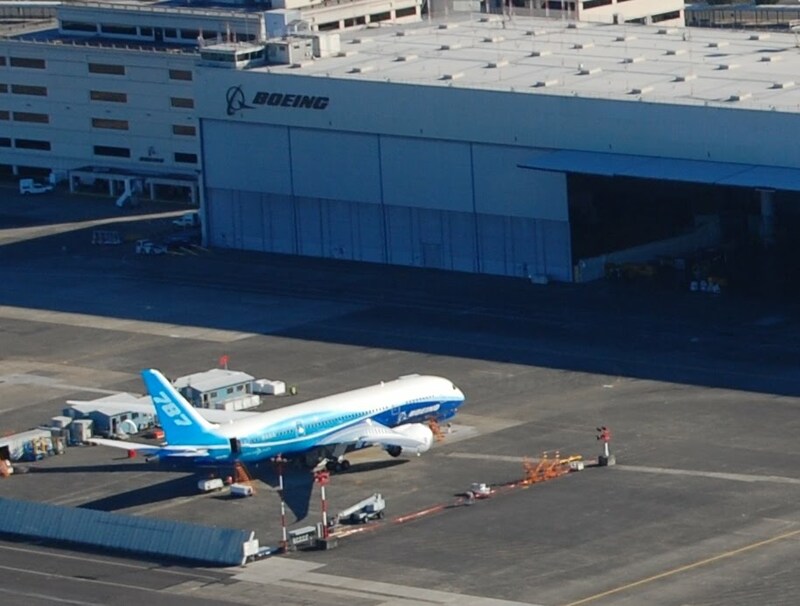 There's been recent concern of one of the engine types available for the Dreamliner: a Rolls-Royce Trent 1000 engine failed on its test stand, and analysis is underway to learn the nature of the problem.